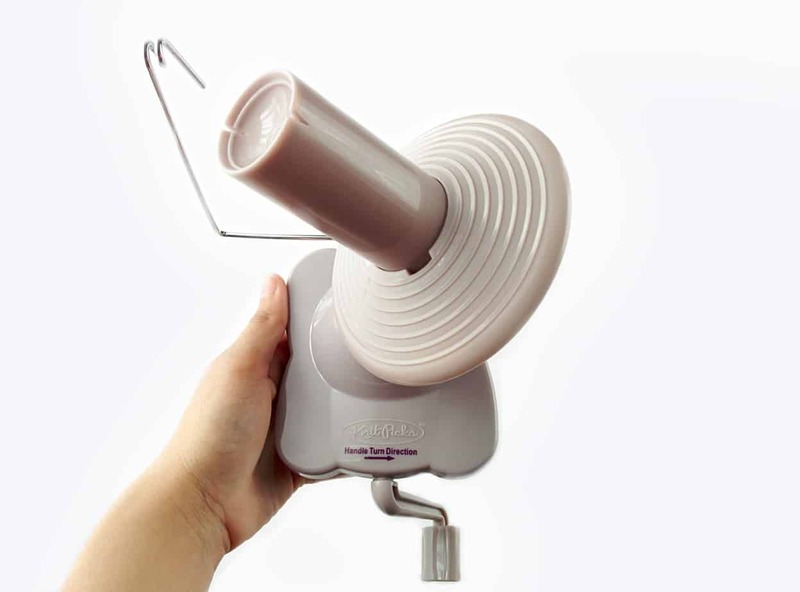 One of my favorite tools for knitting and crochet is my ball winder from Knit Picks. 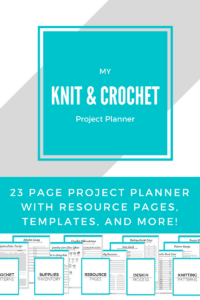 It’s such an underrated tool but I use mine at the beginning and end of every project to keep my yarn stash organized and easy to manage. When I started using yarn, I didn’t know how to make a yarn ball; I didn’t think there was any particular way to do so I just wrapped the yarn around my hand a few times, rotated it, and wrapped the other way. It was simple and it worked. But there are problems with doing it that way. 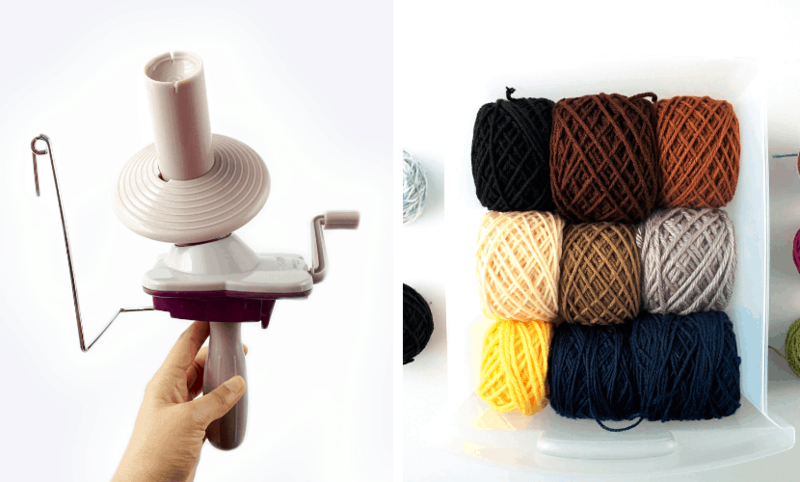 Now, I use my ball winder to make neat, stackable, center-pull cakes from any mess of yarn! Today, I’ll show you how to make a yarn ball the right way and give you a review of the ball winder I use. How to Make a Yarn Ball the WRONG Way! If you’re anything like I was, you just wrap the yarn around your hand to make a yarn ball. It takes just a few minutes and you’re done. When I used to do that, I remember my aunt telling me to stop because I was going to stretch out the yarn and it wasn’t the right, but I sort of ignored her. I didn’t think it mattered at all how I wound my yarn up. When you make a yarn ball by winding the yarn around your hand, you have no way to keep an even, consistent tension. So what happens is that as you go, you end up tightening your tension as the yarn ball gets bigger. It’s not that big a deal at first, but have you ever gone back to that yarn later to find that it looks thinner? Maybe it’s thin in some places, but okay in others. That’s what happens when you stretch out the fibers too much! 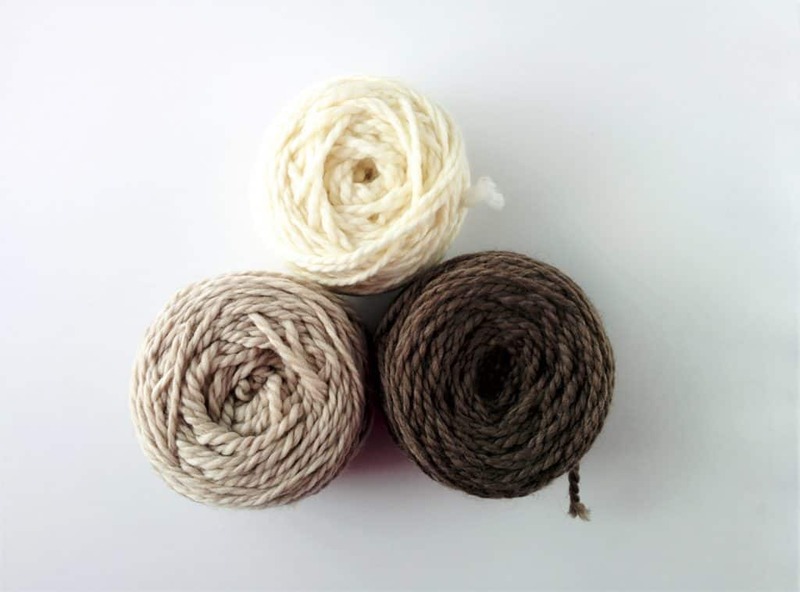 Aside from having inconsistent textures in your yarn, wrapping it into a ball around your hand gives you very little control over the size and shape of the ball. It can be lopsided and even. You can have big sections that slip off into a tangled mess. And they come undone when you store them! Not ideal. 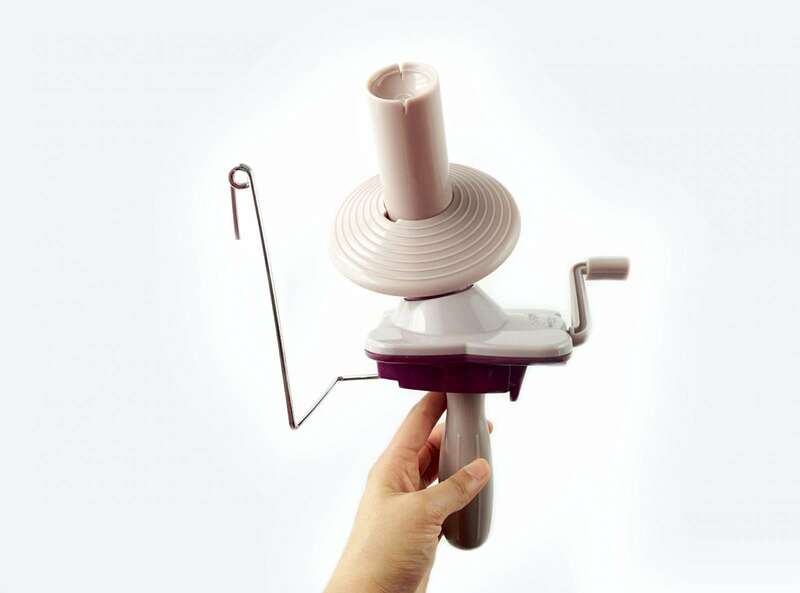 With the ball winder, you can make center-pull cakes like the ones you buy in stores. It has a flat base and doesn’t roll away from you as you work, two ends that you can work with, and they stack so you’re stash stay neat and organized. This is the best part about it for me; yarn storage and organization is KEY once it builds up. When you learn how to make a yarn ball with a ball winder, you’re trading in all those inconsistencies that don’t bother you MUCH, for something that’s neater, easier to use and better for your yarn. 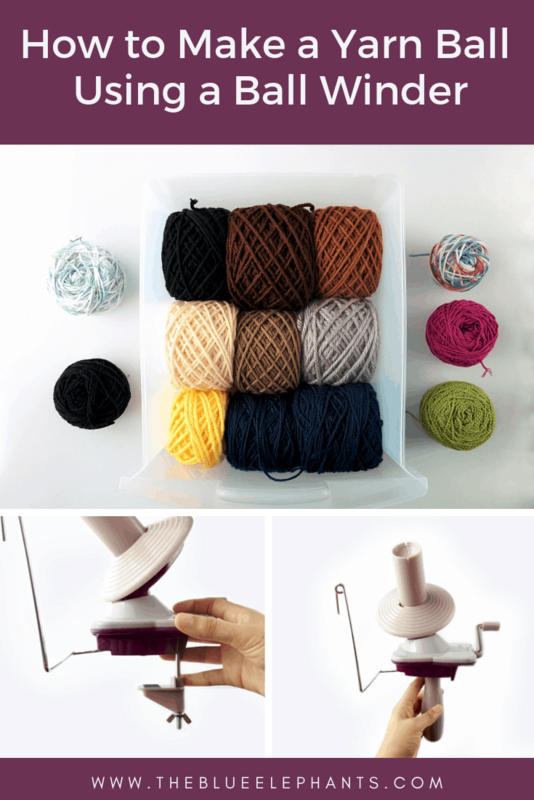 For this post, I’m using the Knit Picks ball winder, and you can find it here. Before we get into how to actually use it, let’s go over the pieces it comes with and how to get it set up. 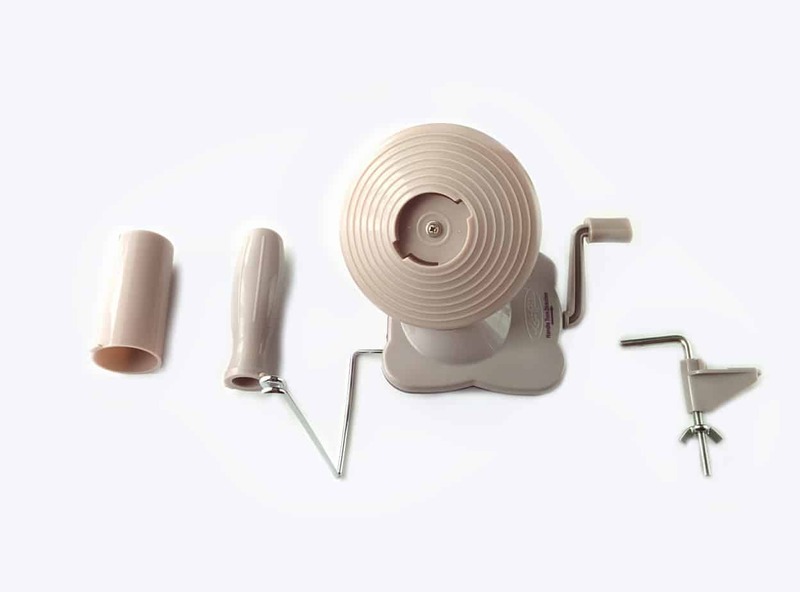 From left to right, we have the spindle where the yarn is wrapped, the handle in case you want to hold it as you wrap, the main base of the ball winder, and a clamp for fixing the winder to a table. To assemble this, all you have to do is insert the spindle into cutout area on the base and turn it to lock it in place. 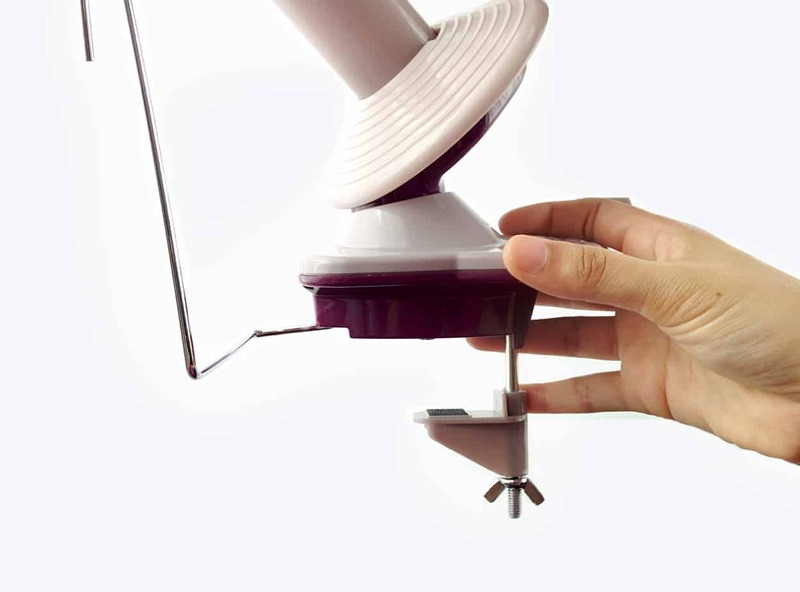 If you want to hold the ball winder in your hand, you attach the handle the same way to the bottom of the base. Otherwise, and this is the way I like to use it, you can insert the L shape of the clamp into a hole at the bottom of the winder and use the accompanying screw to secure it. Then just place the ball winder on the edge of a table and use the butterfly screw on the clamp to attach it to the table. The whole set up takes about 15 seconds, really. The ball winder also has a metal arm that’s used to guide the yarn and help you spot any knots and tangles as you’re winding. The arm is pressed to the base when you get it, but just swing it out so it catches in its little notch before you use it. The first time I used it, I didn’t let it click into place and the arm wobbled so much I thought it was broken! How to Make a Yarn Ball the RIGHT way! Okay, now that you’re familiar with the ball winder, let’s use it! I attached mine to the edge of a table using the clamp and made sure it was nice and secure before I began. If you’re using a white table like mine, put a little piece of fabric or a napkin under the clamp because the non-slip rubber pads there will leave a small black mark. It wipes away easily, but it’s still a little annoying. Here is a video of me using the ball winder and talking you through it. As I explained in the video, all you really have to do is feed the yarn through the guiding arm and secure it in the notches on the spindle. Then, you turn the crank slowly to get it started and continue turning to wrap all your yarn around it. Then, just slide the whole thing off and you have a perfect little cake! This works with most winders, but I’ve had this one for years and can speak more about this particular one than any other. It disassembles for easy storage! I keep mine in a box with other yarn tools like my Amish Yarn Swift. The turning is smooth and silent. You can hear a little sound of the crank, but the winder doesn’t make much noise as it turns. Other ones (especially wood ones) have an odd grating/rubbing sound that I don’t like. It’s so pretty! Most of the other ball winders I’ve seen are ugly. They just look clunky and don’t come in very nice colors; but this is so elegant looking and it’s purple, which is my favorite color. It has the optional handle. Sometimes, if I only need to wind one ball quickly, I don’t want to attach it onto a table. So, I just attach the handle and I can still use it one-handed or have my sister hold it. Speaking of sisters, this is so easy to use that sometimes my sister will just do it for me. She doesn’t knit, doesn’t crochet, and has nothing to do with yarn. But she likes to use it. It keeps my stash CLEAN and my yarn takes up less space! This is the number one reason to get this ball winder. 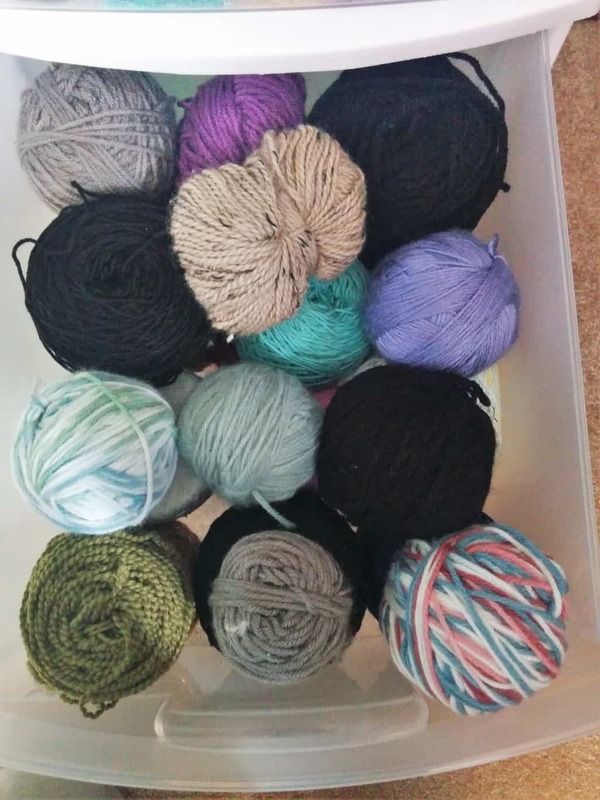 Read my post on how I tackled yarn storage and organization to keep my stash neat easy to manage! This ball winder is amazing. I’ve had it for about 6 or 7 years now, but it looks brand new. After I finish a project, I just wind up leftover yarn using this and it’s taken care of. If I get new hanks of yarn, I wind them into cakes before I use them. Any time my stash gets out of hand, this is the first thing I use to manage it. You need one of these, and you can get it here. Want to see what other tools I love using? You can read about them in this post or subscribe down below to get the printable, shoppable list from my resource library! 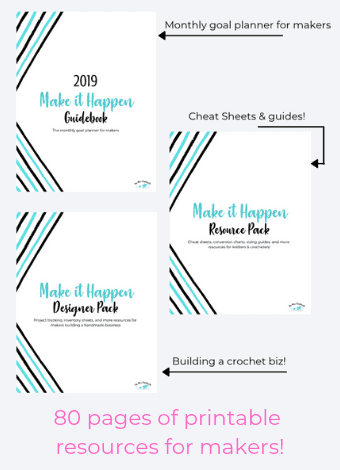 It’s totally free and once you sign up, you get access to all the freebies cheat sheets I’ve created to help knitters and crocheters make the most of their time and money. You’ll also get weekly newsletters with free patterns, tips and tutorials delivered right to your inbox every week! This could be a lifesaver for your wrists. I know whenever I have to wind anything I usually get tired. Sometimes I help my husband wind his fishing threads. That is exhausting. Would this work on Fishing thread do you think? Fishing wire is so thin, I’m not sure if this can hold it in the notches. Plus, because fishing wire is really slippery, it might not hold it’s shape. But it is a lifesaver with thicker materials and something with a little more traction.